Curcumin is turmeric’s most bioactive ingredient. With over six thousand scientific studies on its effects in the human body, it’s been referred to as “the most healing herb on the planet”. Well-known as an antioxidant and anti-inflammatory, one way in which curcumin works is by regulating two particular enzymes that cause inflammation in the body: COX (cyclooxygenase) and LOX (lipoxygenase). There are many non-steroidal medications—over-the-counter and by prescription—that work the same way, blocking signalling pathways of pain receptors: aspirin, ibuprofen, naproxen, and nabumetone are a few. (3) Turmeric is more effective at reducing inflammation and relieving pain, without any side effects. Turmeric can be added to virtually any food, with its mild flavor and bright yellow color. It can also be found in capsules, if you prefer. Cow’s milk is used in the recipe below but goat milk kefir can be used as well. Alternatively, you can make a vegan water kefir as the basis for this drink. You get the probiotics and terrific turmeric any way you make it. Cook all ingredients together in a small saucepan on medium heat. Stir well until the mixture thickens to a paste-like consistency—it doesn’t take long. Mix all ingredients in a bowl by hand or in a food processor until smooth. 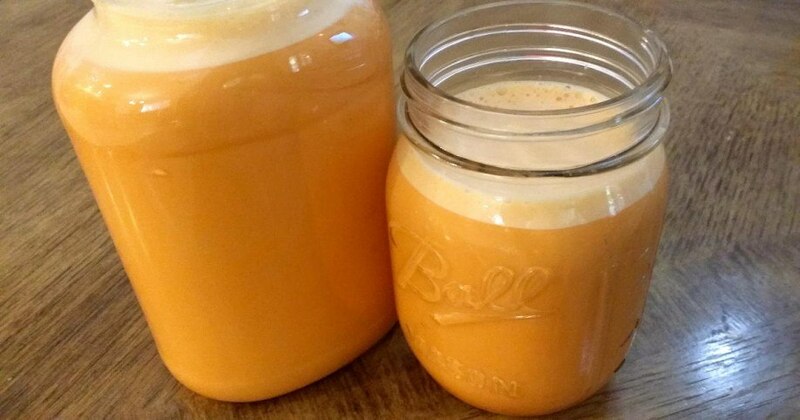 Enjoy this delicious and nutritious probiotic anti-inflammatory!